A lot of people think that seafood has many fats and calories. But, it is not true. 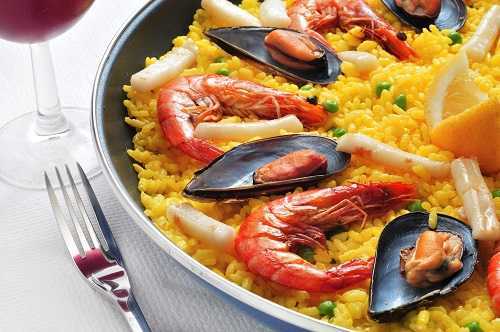 In fact, eating seafood regularly is good for your body, because it is rich in minerals and vitamins. Here are a few health benefits of eating seafood. Oil rich seafood has lots of omega 3 fatty acids. If you want to improve your eyesight, add oil rich seafood to your diet. For instance, shellfish contains vitamin A that enhances the vision. So eating seafood regularly can help in the condition of age-related macular degeneration. Many people suffer from depression and anxiety because of chronic stress. As seafood increases the DHA level of the body, it can reduce the symptoms of depression to a great extent. Intake of seafood can also protect against chronic depression. This is another health benefit of eating seafood. As it contains omega 3 fatty acids, seafood can help to reduce the risk of heart diseases. Seafood intake lowers the bad cholesterol level of your body, so try to eat seafood at least twice a week. Eating fatty fish regularly has been proven to help protect the lungs. That helps to treat asthma. People who consume seafood on a regular basis are less likely to have asthmatic attacks. If you suffer from asthma, eat more seafood. As you know seafood is rich in protein and omega 3 fatty acids. Natural protein helps slow down the aging process. Plus, it helps in the process of collagen production. And omega 3 fatty acids help to keep a younger looking skin. Add different kinds of seafood to your daily diet to keep a healthy and glowing skin. One of the healthiest benefits of eating seafood is keeping the bones healthy. Seafood is rich in calcium that is good for the health of bones. Thus, include seafood into your diet to help to reduce joint pain related problems of arthritis. Seafood is also rich in zinc and iron, so it can help prevent some types of anemia. Seafood intake also helps to increase the hemoglobin level in the body. Moreover, eating seafood is good for the health of your hair. Do you like seafood? Do you know some health benefits of eating it? Share your thoughts, please!